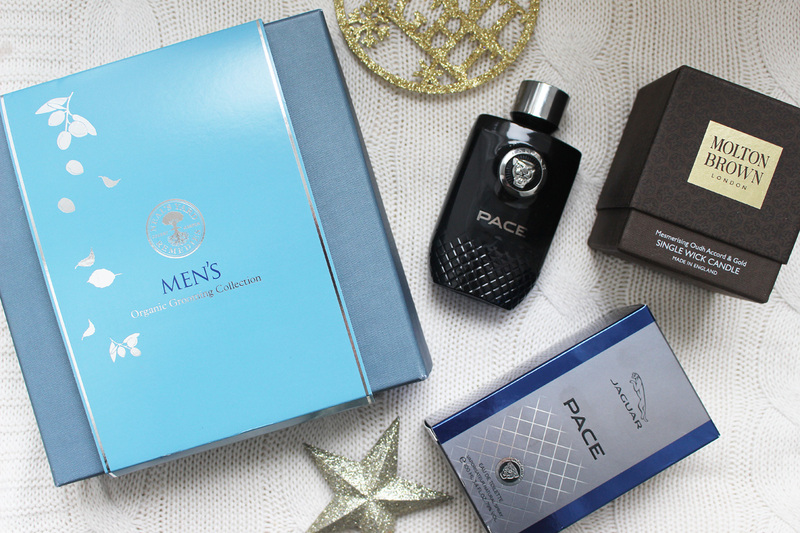 Continuing with more gifts for men, I have a few lovely options and.... a fab giveaway as well. Continue reading to find out what you can win and how to enter. Let's start with this beautiful Men's Organic Grooming Collection by Neal's Yard Remedies*(£30.00). It comes in a nice presentation box and includes three full size products. There's a 100ml Calming After Shave Balm, a 50ml Close Shave Cream and a 200ml Invigorating Body Wash. Formulated with energising grapefruit to cool the skin, aromatic eucalyptus to balance his mood and uplifting clary sage to help firm and tone his skin, it is the perfect grooming gift! Next, we have the ultimate candle for him! 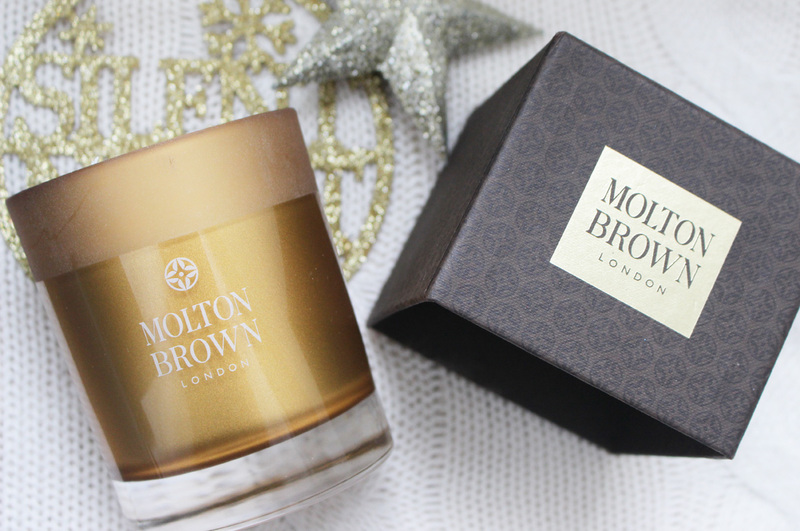 The Molton Brown Oudh Accord & Gold Single Wick Candle*(£36.00) smells absolutely incredible and comes in the most beautiful gold jar. The fragrance features top notes of cinnamon oil, nutmeg oil and myrrh, heart notes of elemi oil, black tea and vetiver and base notes of oudh, honey and tobacco. I am not usually a fan of tabacco notes, but this combination smells divine! I actually got this candle as a gift for Zac's teacher this Christmas. Such a nice scent. 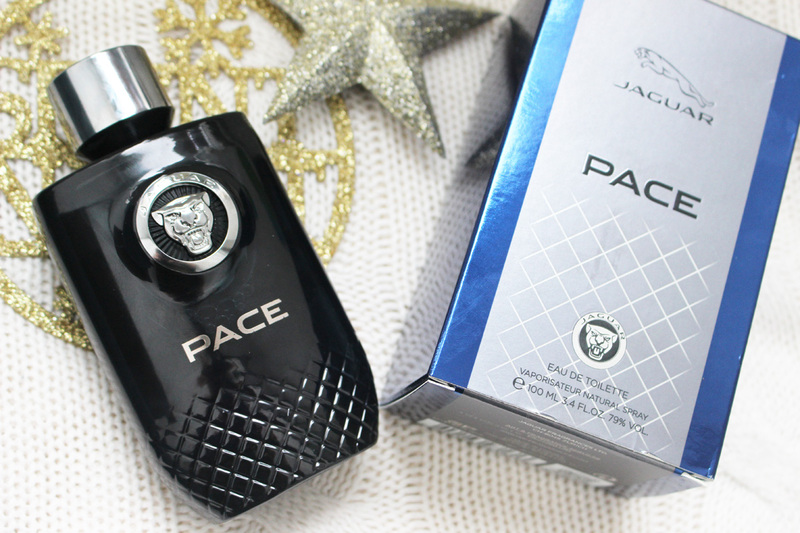 Last but not least, a very nice fragrance - the Jaguar Pace EDT*(£44.00), which I am actually giving away to one of my readers (a new sealed bottle of course). Yay! With notes of black pepper, cashmeran, crystal moss and rosemary, it is a very masculine scent and it smells so, so nice! The bottle is inspired by the new f-pace family sports car and it represents the brands core values of design, dynamism, performance and innovation. Available from M&S.